Are you ready to dig deeper? Are you ready to go to the next level in your fitness? Well here is how you are going to do it: Insanity The Asylum! It is the latest edition in the Insanity series from superstar trainer Shaun T.! What is Insanity Asylum? It is a 30-day in-home training program focused on building strength, balance, agility, speed, power and coordination. This is the first program of its kind. It is sports performance based that will improve your skills, power, form and focus to transform you into an elite athlete. Some people may look at this and think that it’s just straight up INSANE! But there is actual science behind it. This workout uses cross training techniques with speed, agility, plyometric, core, strength and balance exercises with a series of progressions that build on each move. As with Insanity, The Asylum uses MAX Interval training in a sports specific application to take your results to the next level! 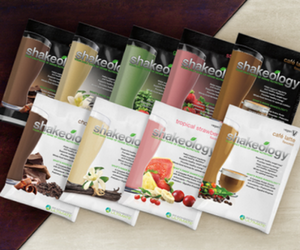 It’s a total package, including everything you need for success! 7 Intense workout DVD’s 60 minutes each. Great for those of us on the go! Workout calendars – comes with three calendars. The Asylum Calendar, The Asylum/Insanity Hybrid Calendar and The Asylum/P90X Calendar. This gives you the option for a new challenge every 30 days! Who is this program for? Not the weak of heart for sure! 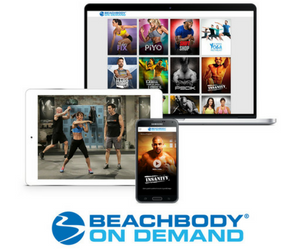 It is perfect for those who are already fit and ready to take their fitness to the next level. If you are a P90x, Insanity or ChaLEAN Extreme grad then this is perfect for you. Is this a requirement? No, but it’ll sure help! You don’t have to have sports specific training to do this workout, just heart and determination. 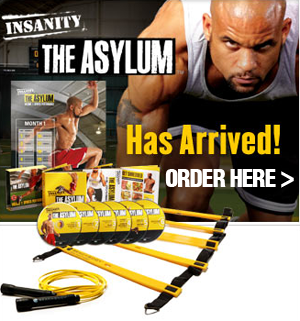 Insanity: The Asylum is another fat shredding, body morphing program that will take you over the top in your fitness. Shaun T. himself called it, “Pure Cardio on Crack”. Get Ready cause its available now!